There is a network of volunteer weather watchers called CoCoRAHS. We (I'm weather station Wichita 7.1 Northeast) report every morning around 7am local time. Our rain gauges are of a type approved by the National Weather Service. 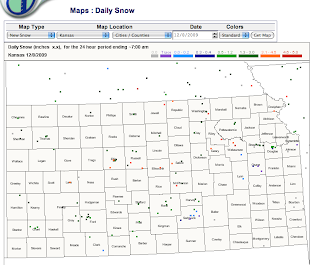 If you, for example, wanted to see the morning snow depths in Kansas, you would go here: www.cocorahs.org/Maps/ViewMap.aspx?state=usa and you would see that as much as five inches has accumulated in Waubaunsee County (click to enlarge). This data source is available throughout the United States.